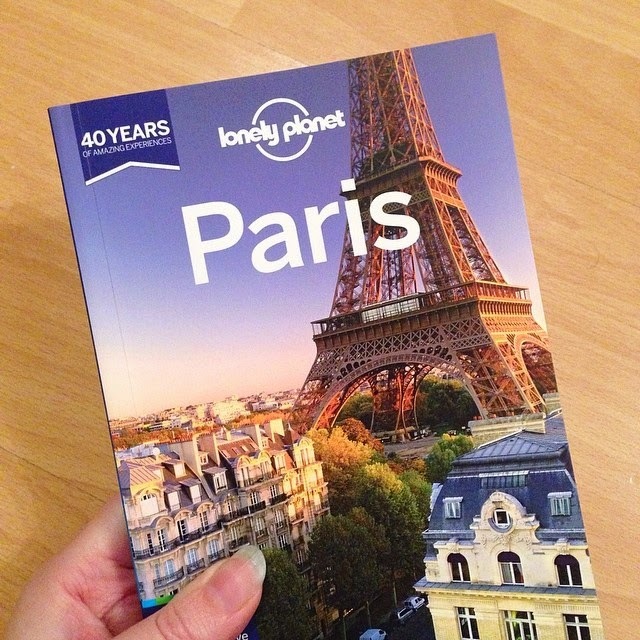 I'm so excited about my trip, I've been working on a bit of a Paris related project. Drawing buildings in is one of those things I always think would be great, I love to see architectural drawing from other people- there are loads on Flickr. They are so inspiring. Mine never turn out anything like these, but it's only because I never practice enough to make a good job. Here is my sketch of a Paris street. 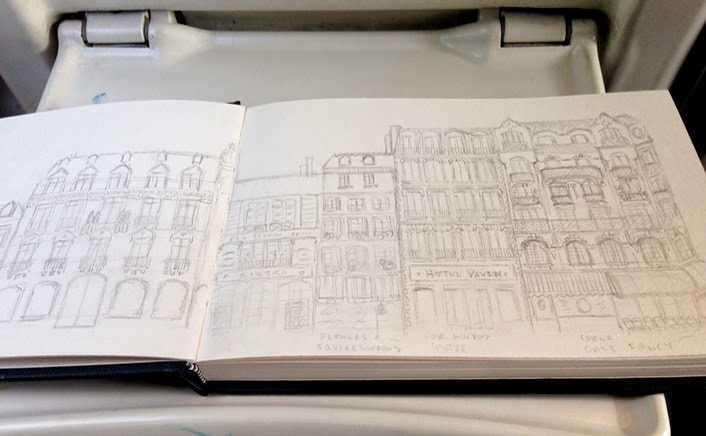 It's all a bit blah, I drew most of it on train - hence the tray table. It's not even a real street! It's fun to dream though. I like to imagine what is inside each building, who lives there and what they do. Maybe one day I'll practice some more and do a real version. "Once a year, go somewhere you've never been before." I am a firm believer in visiting places you've never been before and although they don't have to be far away, I do like those kinds best. Last year I was very fortunate to visit two countries I'd not been to before. They were fabulous trips but it did mean that I didn't think I'd be going anywhere outside these shores this year! However, I started getting the wanderlust and happened across a cheap flight to Paris, so I booked it. I have been to France before but Ive only really passed through Paris, which seems like a bit of an oversight. I've heard conflicting views on Paris as a city, some folk say it's beautiful and romantic others that it's dirty and full of rude people. But it is definitely home of the Macaron so I'm excited to see what it's like for myself. This is going to be the first time I've used Air BnB too, which is an adventure in itself!